From I-35W: Take 287 north. Turn left on Blue Mound Road. Turn right on Berkshire Lake Blvd. Turn left on Paxton Road. Our model is on the right hand side. 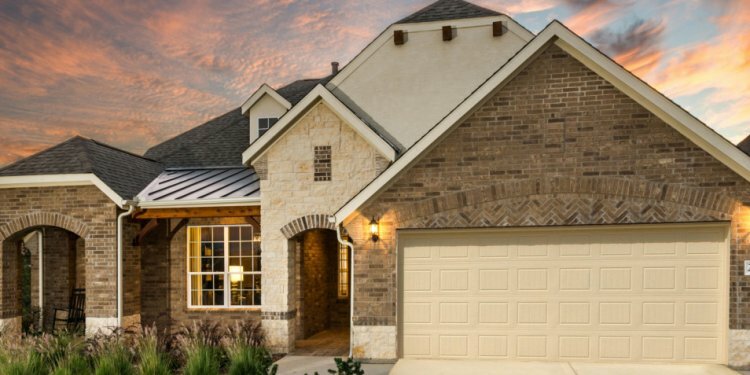 American Legend Homes welcomes Fort Worth homebuyers to explore their newest collection of single-family floor plans in the master-planned community, Berkshire. These newly designed one and two story plans provide the essentials needed for the entire family to enjoy. Each home layout offers spacious bedrooms and closets, large office and dining areas, and an open-concept living from the kitchen to the living room allowing the perfect setting to gather around the heart of the home. Homeowners will enjoy the wide array of customizable options from adding extra bed and bathrooms, to adding more entertainment space with a separate media room on the second floor. Homes range from 2, 200 to 3, 700 plus square feet with pricing starting in the low $300s. Looking to move soon? Be sure to check out our Quick Move-In Homes. Call to setup a tour or stop by our model home open daily at Berkshire in Fort Worth! NEIGHBORHOOD: Berkshire in Fort Worth promotes an active lifestyle for families of all ages by encouraging their residents to explore the 60-plus acres of gorgeous green space with a planned bike trail. Meet up with neighbors at the playground, or cool off at the amenity center in the hot Texas summers at the community’s resort-style pool and splash pad. To visit the Berkshire community website, click here. LOCATION: Located less than a mile from I-35W at Blue Mound (FM156) and Hwy 287, this community is perfect for business professionals to enjoy an easy commute to major business centers in the DFW metroplex. Homeowners enjoy dining, shopping and entertainment nearby at the Alliance Town Center. Berkshire is located just 20 minutes from Eagle Mountain Lake and 10 minutes from Lake Worth, providing the perfect weekend get-away for residents to fish, boat or enjoy some fun in the sun.